Now I am heading back to the gym I can do one of my favourite things.... go shopping for workout gear. When I do workout I try to have my outfits all in one brand, I can't do with mixing Nike & Adidas etc it drives me mad these days. 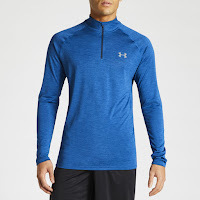 One brand that has recently come to my attention is Under Armour, this is a brand I had never bothered with in the past but in recent months their products are really standing out to me. 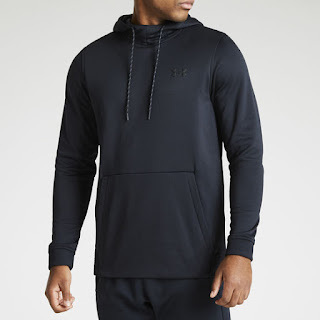 As I start to build up my perfect workout drawer (where all these clothes will be stored) here is what I am hoping to add from Under Armour. This tracksuit has caught my eye on every visit to DW Sports, it is £50 currently which to be fair isn't bad for a tracksuit at all considering Liam picked up some of their joggers for £32 and the tops can be up to £50 alone. 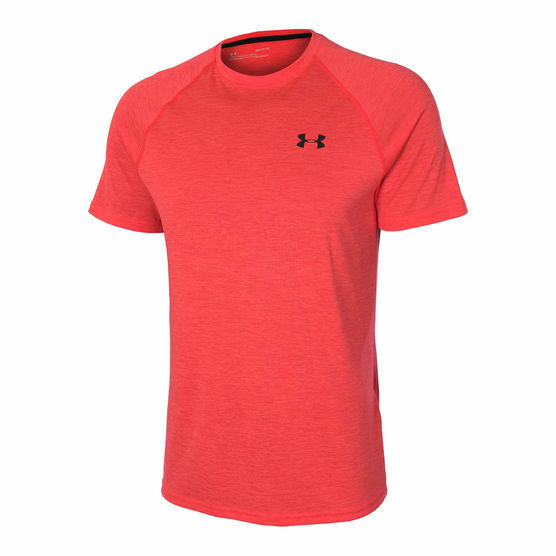 The material is pretty decent quality too and should last a while. Although I don't think I would wear it as a full tracksuit too often. 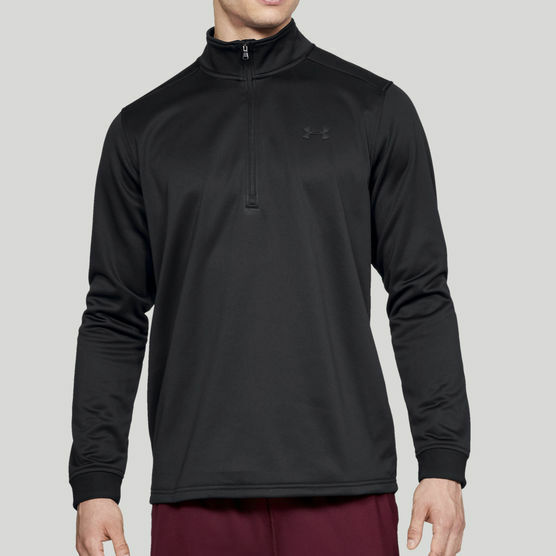 I absolutely love the 1/2 and 1/4 zip tops from the brand. I managed to get a grey 1/4 zip one from TK Maxx recently and can't wait to wear it, I would love to have a variety of colours to chose from so I aren't just wearing black and grey every time I work out. 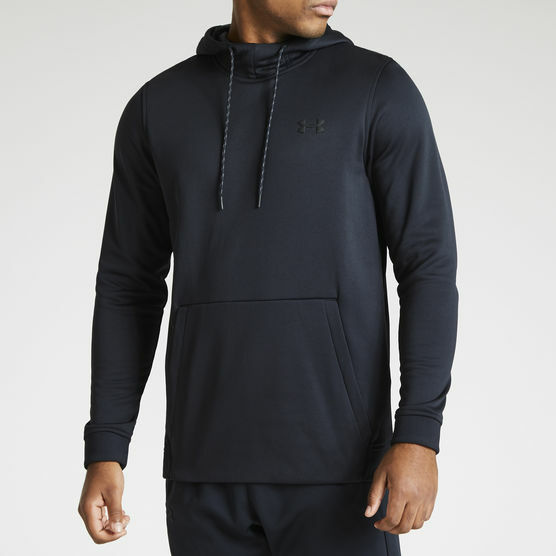 These hoodies are a brilliant thickness and I have tried a few on in the past when I fell in love with them. 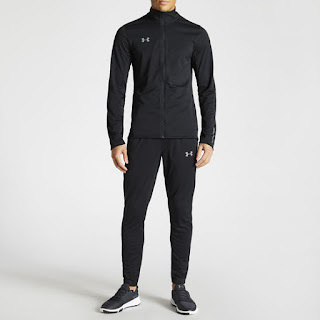 These would be perfect for travelling to and from the gym as well as lounging around on my off days. I would definitely get my wear out of them. They also come in a variety of colours so I could definitely have plenty of options to chose from. 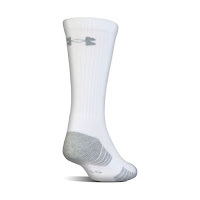 I went through a phase not so long ago where the only socks I would wear, whether I was working out or not, was the Nike sports socks. 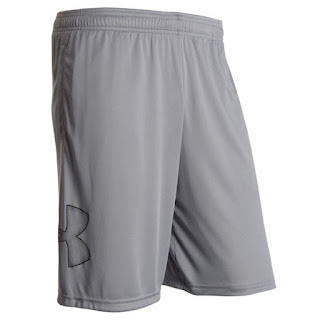 However, I now finally have them beat as the Under Armour ones are so much comfier as they are thicker. 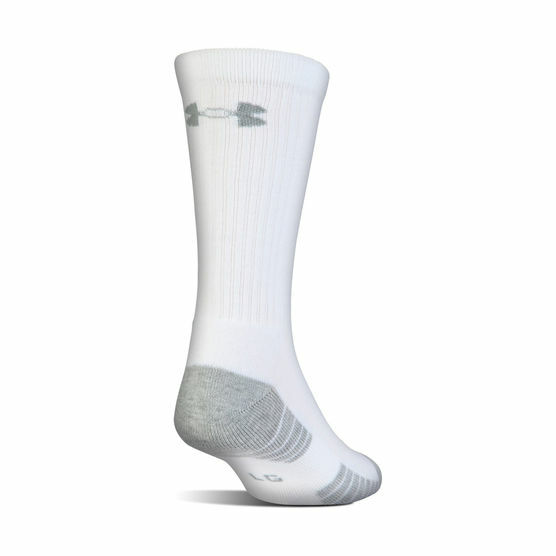 I currently have these in black but very soon will be adding the white ones to the draw. 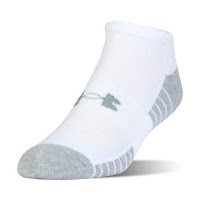 I am also trying to just wear these for working out as so many more pairs of socks are just sitting unworn. I have one t-shirt from this brand so far and it fits brilliantly, so I want to get plenty more as I am going to need more in my rotation, these are pretty reasonably priced too and also come in quite a few colour options so I don't look like I am still wearing clothes from the workout earlier in the week. Shorts are something I struggle with as I hate my legs, they are covered in scars and stretch marks and it drives me mad. So finding the perfect shorts that can hide most of these is a struggle however, Under Armour are brilliant and have shorts in a range of lengths meaning I always have an option. Plus they aren't too baggy like so end up being and are actually a pretty perfect fit. They also have plenty of designs and colours available. Leggings are a bit of a dodgy one for me, I either love them or hate them, with how my body is at the moment I don't really feel confident to wear them but I do own a couple of pairs just in case. 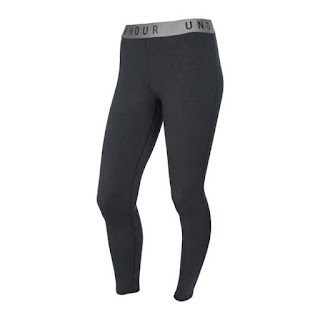 These sort of leggings will be perfect for when I am out in the garden or on a field doing a little bit of football practise as they provide that extra compression and warmth. I could even throw on a pair of shorts over the top if I really wanted to. Now for one of my favourite parts... the bags. I have grown out of all the character bags I own, I really don't want to head to the gym with my Adventure Time bag. 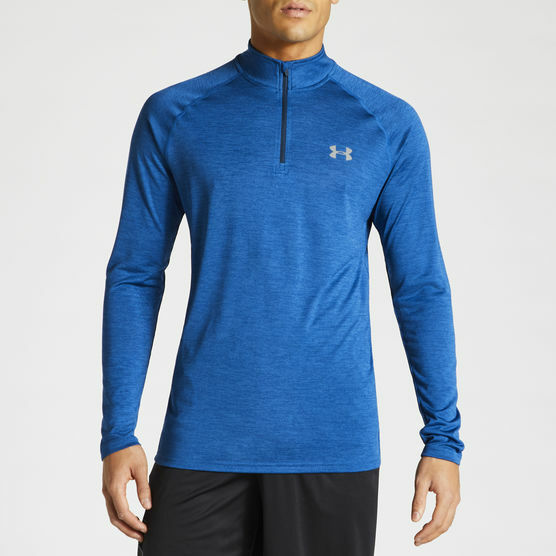 So I have been looking at the sort of ones Under Armour has to offer and I haven't been disappointed. 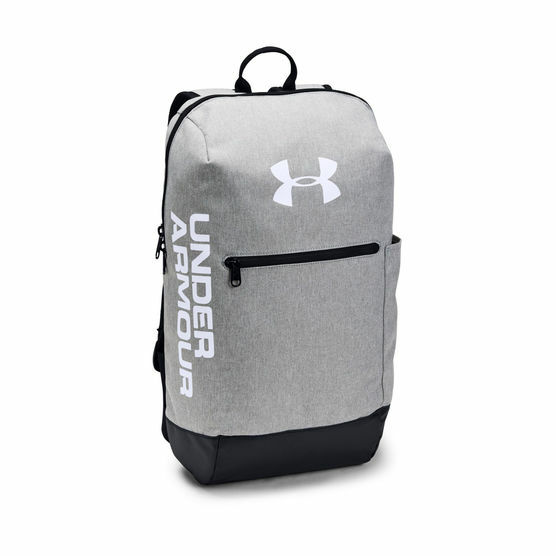 Both the backpacks and the duffel bags look quite stylish alongside looking quite minimal. I especially love how simple the backpack on the left looks but I know for what I take to the gym this will have plenty of space, the duffel bag would be more for travelling to fields for practising my football. Fingers crossed some of these items come home with me soon however, I will be staggering the purchases of these items as with me hoping to drop clothing sizes there is no need for me to buy everything in an XL if I don't aim to be in them very long. 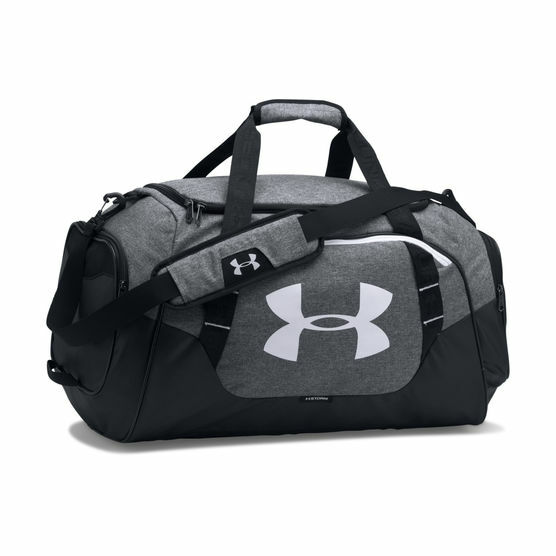 Fingers crossed this works and I can keep building my workout drawer up over time as I am aiming to spend more time in workout clothes this year than normal ones, I will get fit again, plus these can be for both the gym and football training in the garden. Keep an eye out on the blog as I will be doing these sort of wish lists for plenty of other brands in the future.